For almost forty years visitors to Mr. Letchworth's Council Ground were able to see a portion of the famous Geneseo "Big Tree". This image is taken from a "magic latern" slide and may have been taken sometime in the late 1890's or early 1900s. For more information on this relic, go to Image 102. 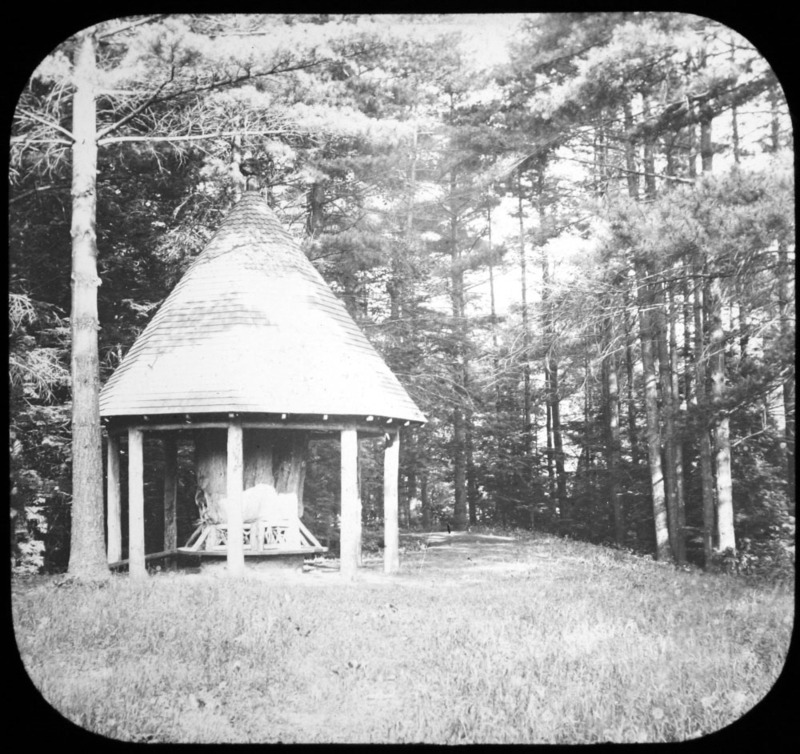 Lantern slides were used in educational lectures in the late 19th and early 20th century. The large glass slides were eventually replaced by the slide format still used today. We thank our friend Karen Gibson Strang for sending us this view! Thanks Karen!